The U’s took the lead when Ryan Donaldson’s corner was flicked on by Michael Nelson for Cameron McGeehan to stroke home from close range. 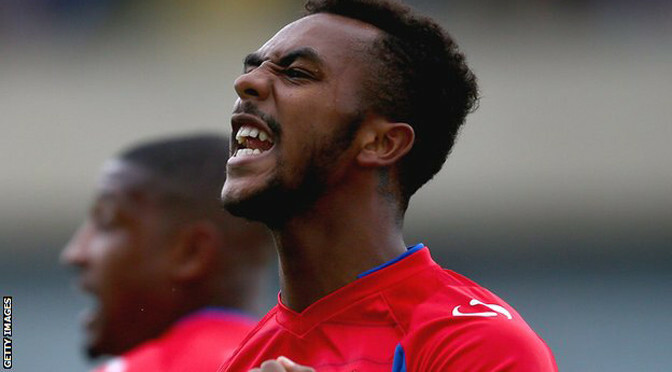 Dagenham’s equaliser also came from a set-piece as Andre Boucaud’s free-kick was met by the head of Ashley Hemmings. Cambridge, playing their first game since Friday’s FA Cup draw with Manchester United, move up to 12th. Richard Money’s side are now eight points off the play-off places, with at least a game in hand on teams above them. 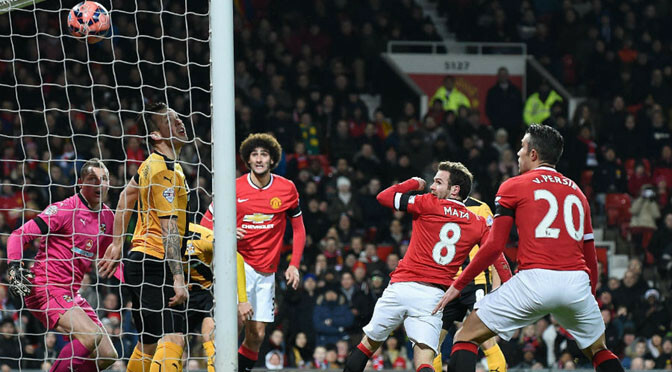 League Two Cambridge earned a FA Cup fourth-round replay at Old Trafford after Louis van Gaal and his Manchester United side endured an uncomfortable evening at the Abbey Stadium. Cambridge, the lowest ranked team remaining in the competition, were rewarded for their endeavour with a return in Manchester which will provide a significant boost to their finances. Dutchman Van Gaal selected four at the back and suffered an evening full of anxiety in the 0-0 draw. At times it was difficult to tell which side had won the competition a record 11 times as the Us, who twice won at Wembley last season, refused to be cowed by their more illustrious opponents. Richard Money’s men had Van Gaal squirming on his posterior on the concrete seat in the visiting dugout, particularly when packing the six-yard box at corners. Cambridge were deservedly level at half-time and indebted to Chris Dunn for staying so entering the final 30 minutes when the goalkeeper saved from Radamel Falcao. It took United until the 64th minute to score at Yeovil in the third round and, despite occupying Cambridge territory for the majority of the second half, they could not find an opening at Cambridge. Dunn saved from substitute Robin van Persie and Angel di Maria in stoppage time as the hosts celebrated a memorable result. Cambridge drew with United 1-1 in their previous meeting at the Abbey Stadium — as part of a 4-1 aggregate League Cup loss in 1991 — and held on once again. United are still in with a chance of a first FA Cup win since 2004, but must do better in the return. 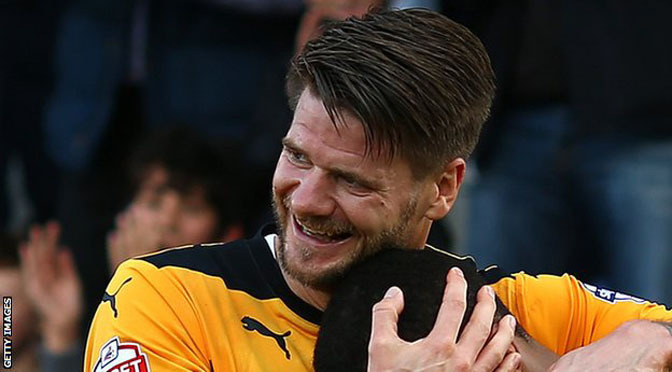 League Two Cambridge United reached the fourth round of the FA Cup for the first time in 15 years with a 2-1 victory against Luton Town. Forward Robbie Simpson gave the hosts the lead in the first half when he poked in after his penalty was initially saved. Ryan Donaldson slotted in a second after the hour, but defender Michael Harriman pulled one back with a header. Jonathan Smith shot just wide for Luton but Cambridge held on. It is the first time Cambridge have progressed this far in the competition since the 1999-2000 season, and it was a deserved win for Richard Money’s side. Luton will perhaps rue a miss by Andy Drury, who failed to hit the target despite being presented with an open goal early in the second half. That would have cancelled out Simpson’s opener, which came midway through the first half. Luton keeper Mark Tyler brought down Donaldson inside the area and Simpson stepped up to take the resulting penalty. Tyler parried it on to the post but Simpson reacted quickly to fire home. Donaldson hit the crossbar in the second half but made no mistake when he latched on to Tom Champion’s ball and slotted home. Harriman set up a tense finish when he headed in Drury’s cross soon after Donaldson’s goal and although the visitors pressed in the closing stages, they could not force an equaliser. Michael Nelson’s late header rescued a point for 10-man Cambridge United against Tranmere Rovers. Rovers substitute Cole Stockton put the hosts ahead, turning in Liam Ridehalgh’s left-wing cross. The visitors’ task was made even tougher moments later as Robbie Simpson was shown a second yellow card for fouling Steve Jennings. Nelson’s header from Sullay Kaikai’s corner earned the U’s a draw, with Stockton wasteful for Rovers late on.